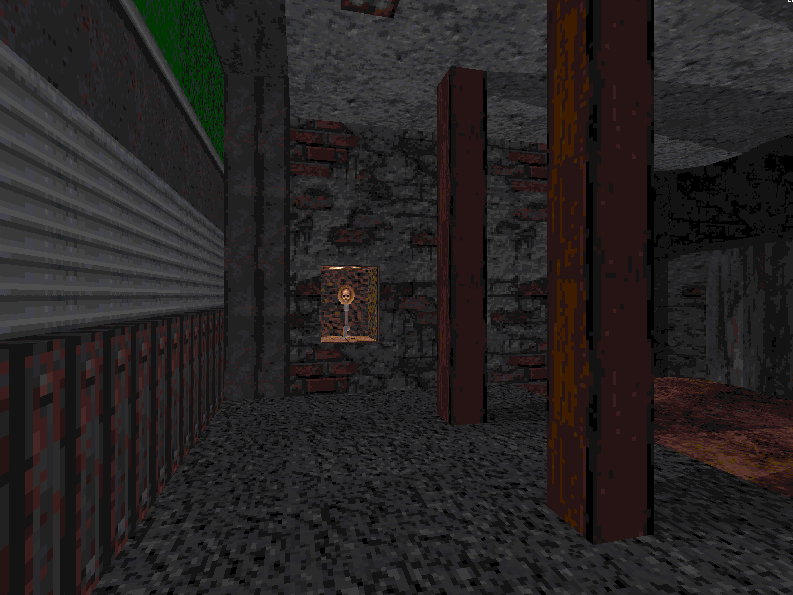 Death Wish 1.5 for Blood is in development! 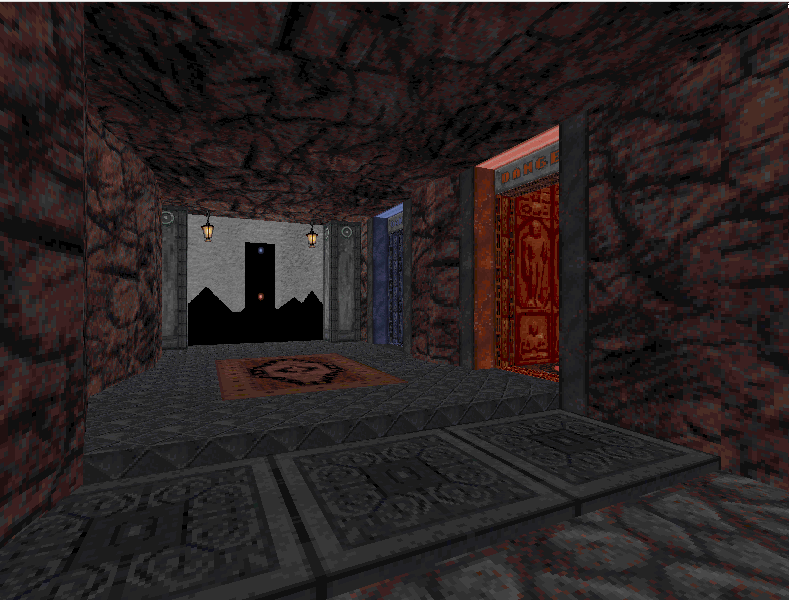 Death Wish 1.5 for Blood is currently being developed to enhance the multiplayer experience. Co-op mode will go much more smoothly thanks to a few updates. Keys / Items that trigger events will not trigger the event again if that item respawns. Certain collectables that unlock pathways (like the Black Boxes in DWe2m6 are set to never respawn). This spare key is made available after the train pulls in when playing Co-op since the original is no longer accessible. Hate playing catch-up? 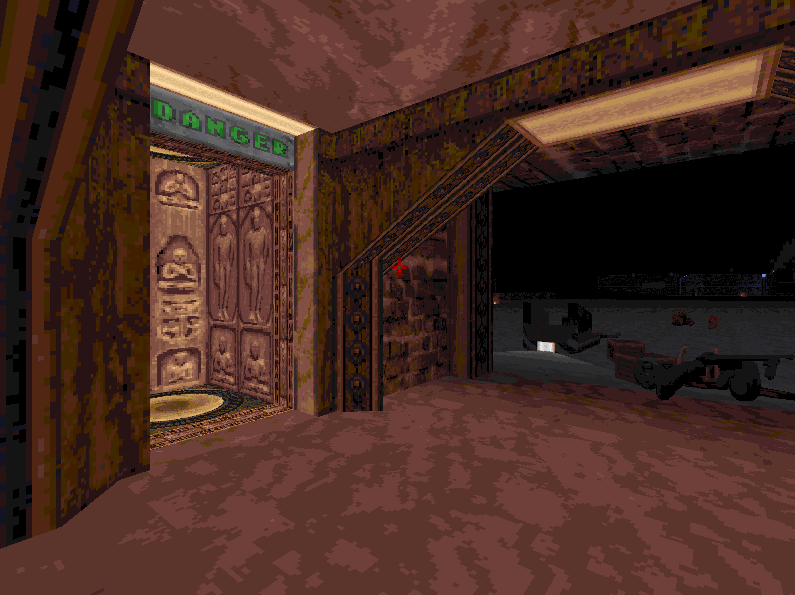 DW1.5 will have a checkpoint system wherein reaching certain points in a mission will open up a teleporter or teleport-station near the player spawn-point, allowing teammates who are killed to return to the action quickly. 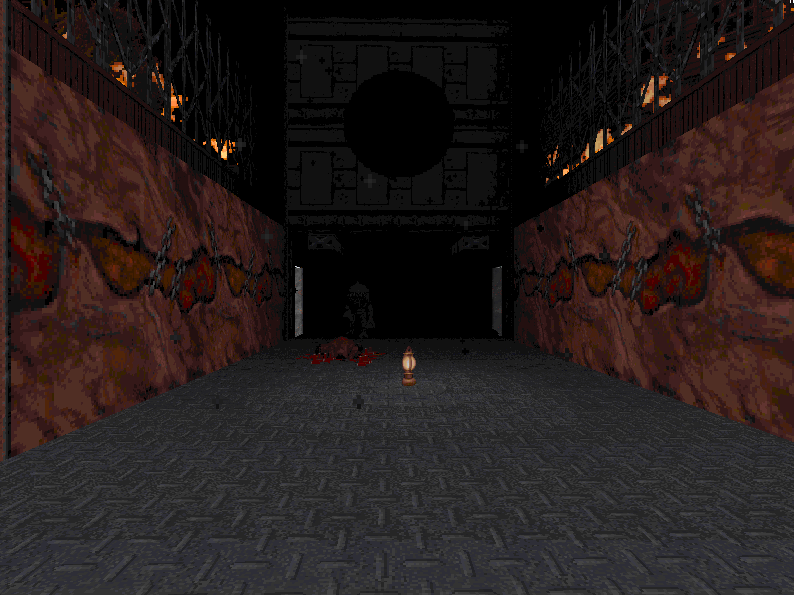 This checkpoint becomes available as soon as someone enters the base in the distance. Players who respawn won't have to run all the way across the snowy field again. Sometimes a level will contain a checkpoint station. This could include 2 or more teleporters that open up in sequence or a set of multiple pathways that are always available. 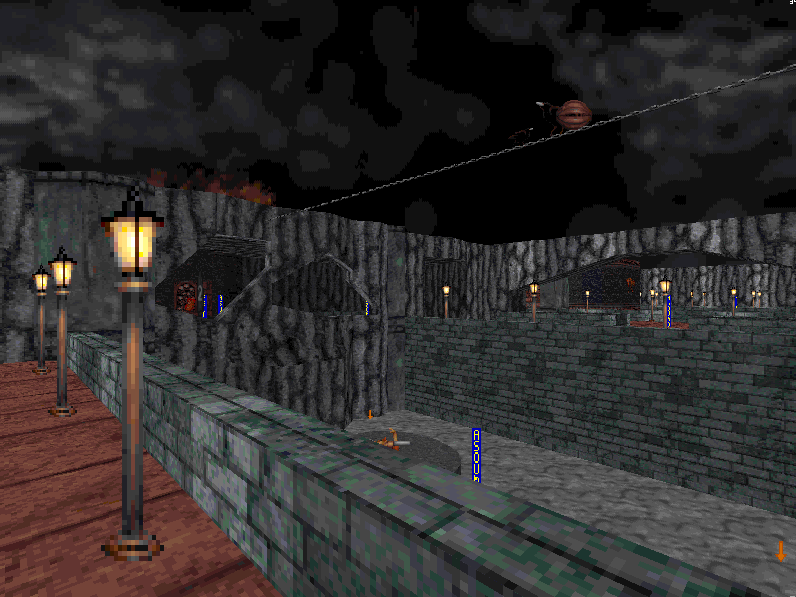 This station from DWe2m8 has 3 teleporters that lead to different sections of The Black Tower. At first only red is available, then the others open up as players progress. Another station sample, this time from DWe3m3. When a checkpoint is reached, a confirmation message will pop up. This message will only appear when playing Co-Op mode. So what about Single Player? No, I didn't add new levels this time. I made a lot of areas look nicer and fixed some technical issues, but the single-player experience is still similar the most recent build of DW1.4. If I saw something I wanted to touch up while adding Co-Op stuff I addressed it, but all the biggest changes in this version are multiplayer-related. That said, if you want the best Death Wish has to offer for single player mode, you'll still want to have DW1.5. DWe3m1's alternate dimension gets a facelift. I am still gauging the interest in this, but I was considering including some of my deathmatch (aka "Bloodbath") levels in this update, with an eye towards making sure they are up to the production standard of the single player campaign. Let me know if you'd be interested! 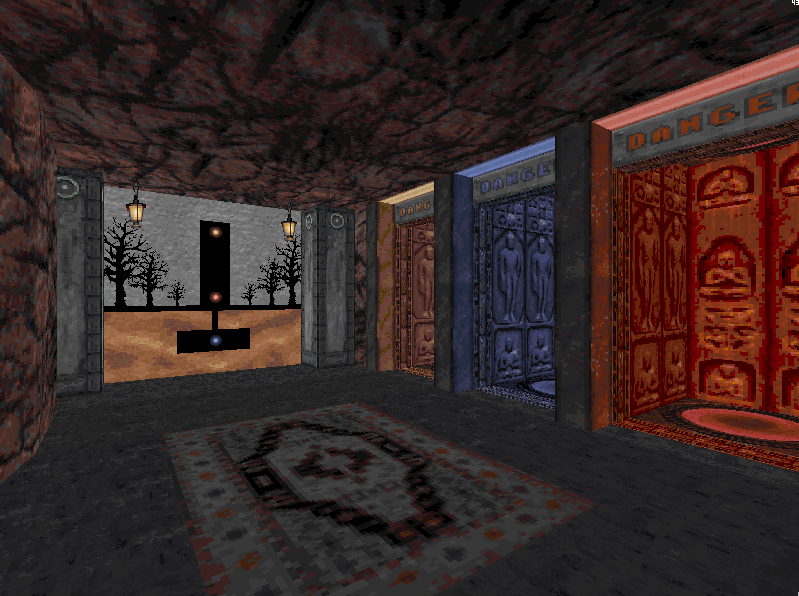 One of several never-released Bloodbath maps. I may even make some new ones! The Co-op mode changes are almost complete. If I include Bloodbath levels I may release on Halloween again, which should give me time to make sure the BB content looks nice. If not, I'll probably be releasing sooner. Shoot me a message or leave a comment if you have any questions or suggestions. Otherwise, keep checking back for more info! I'd say take your time and include the BB levels in, even if it takes a few extra months. That would make this mod as complete as the original game. Just in time too1 I have recently bought Blood on Steam on sale for under $2! Interesting project here. Go for it and work on BB maps too. You'll have a truly completed addon for Blood :). I have 3 done and 1 more that needs some work right now. Most of the editing is going into the main campaign.